Surf City USA is living up to its name by attempting to break not one, but two Guinness World Records™ on June 20, 2015 at the Epic Big Board Ride. Watch history in the making as we set new global records for both “World’s Largest Surfboard” and “Most People Riding a Surfboard at Once.” Over 60 professional surfers, former US Open of Surfing winners, Surfing Walk and Surfers’ Hall of Fame inductees, youth surf champions, celebrities, and local heroes will pile onto a custom-built 42-foot long surfboard to ride one epic wave on the South Side of the famed Huntington Beach Pier. Witness this once-in-a-lifetime, historic surfing moment. Cheer on the attempt and help us count down the record breaking 10 seconds! Be sure RSVP to our Epic Big Board Ride Facebook event and share with your friends! HOW: Watch from the pier for a birds-eye-view of the attempt, or join us on the south side of the pier on the sand. 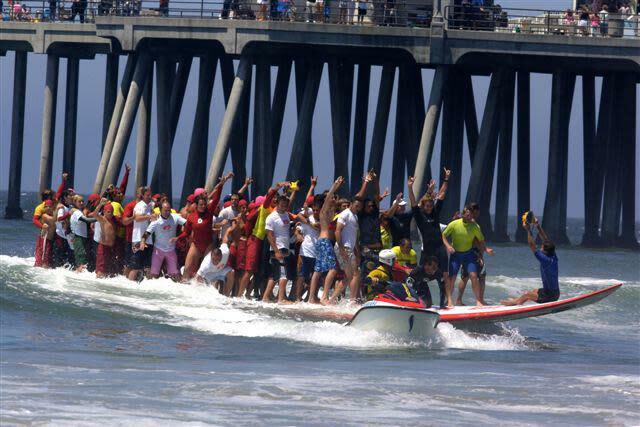 Huntington Beach’s record-breaking board is 42 feet ¼ inches long, 11 feet 1 inch wide and 16 inches thick. While the original record for "World&apos;s Largest Surfboard" is 39 feet and 4 inches. As per Guinness World Records requirements, the Big Board is being built like any other surfboard, just on a (much) larger scale. This includes the foam shaping, board assembly, lamination and final details including glassing, logo placement, and fin attachments. 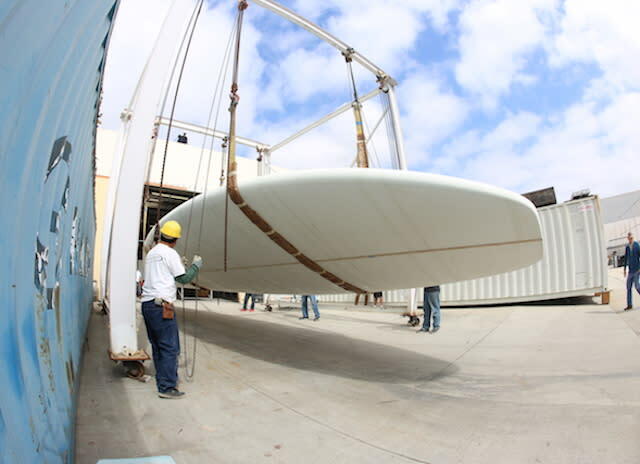 Local Huntington Beach shapers will be assisting with the finishing process. To stay up to date on the Big Board construction and other event details, check out the official Epic Big Board Ride website or follow #BigBoardHB on social media. The record for "Most People Riding a Surfboard at Once" was set on March 5, 2005 with 47 people in Snapper Rocks, Queensland, Australia during the Quiksilver Pro Gold Coast, and the first stop on the ASP World Tour. 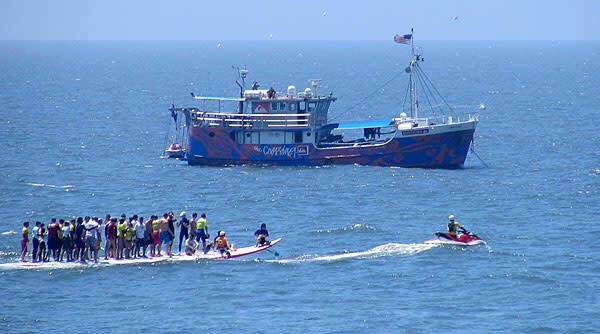 Huntington Beach broke Snapper Rock’s record during the US Open of Surfing festivities with 60 people in July of 2005 with the same surfboard; however, the event was not registered with Guinness World Records beforehand, making the record unofficial. Surfing the board at this attempt were surf legends Troy Brooks and Peter “PT” Townend. The board used for the attempt must be a scaled up version of a traditional surfboard and be made of the same materials. All participants must be standing on the surfboard and riding a wave unassisted for a period of at least 10 seconds. 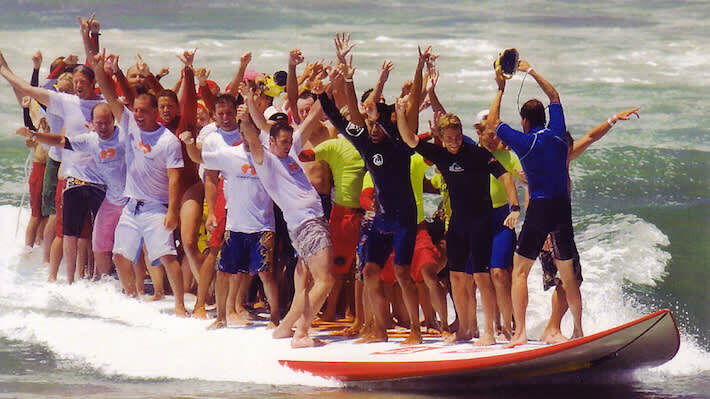 The surfboard can be towed with all participants standing on it until it has gained enough momentum. 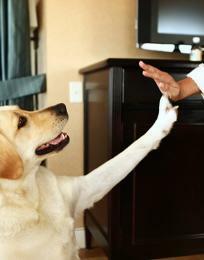 The 10 seconds will start when the board is released and travelling unassisted. Only participants who stay standing on the surfboard throughout the required 10 seconds will be counted towards the final record. Want to earn a spot on the Big Board and in surfing history? Visit Huntington Beach will select three surfers from the general public to ride the Big Board on June 20 with its Show Us Your Most Epic Wave Instagram competition. Surfers are invited to submit creative videos and photos of their moment of surfing glory via Instagram using #EpicWaveHB. 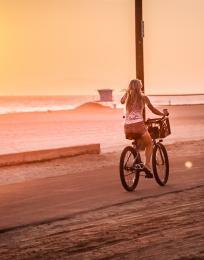 Details are posted on the Visit Huntington Beach Instagram, @surfcityusa, and at the official contest page. 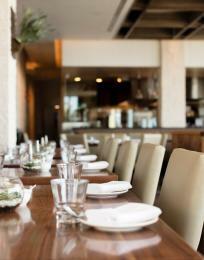 Winners will be announced on Friday, June 5. 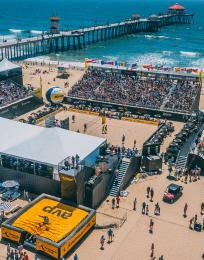 Visit Huntington Beach, the official destination marketing organization for Surf City USA, is taking the lead on the event and board creation, in concert with the City of Huntington Beach and title sponsor Hurley. Truly an international effort, the design is based on Australian surfboard shaper Nev Hyman’s schematics, while Orange County boat builder Westerly Marine and Rhode Island’s mouldCAM along with local surf industry shapers are collaborating to craft the massive board. Its design will mimic one of the famous short boards ridden by Brett Simpson, Hurley sponsored professional surfer and Huntington Beach native. Following the record-breaking event, the surfboard will be on display as an iconic cultural tribute to one of California’s most distinctive and beloved outdoor sports at a highly visible and publicly accessible location in Downtown Huntington Beach, allowing the board to become an attraction in itself. The Big Board will also be making an appearance in Huntington Beach’s popular 4th of July Parade, which is the largest Independence Day parade west of the Mississippi. On June 20, 2015, there will also be a vendor village in Pier Plaza and live entertainment in the Pier Plaza Amphitheater throughout the day. Surfrider Foundation will be hosting its annual International Surfing Day Celebration north of the Huntington Beach Pier, while the Huntington Beach Downtown BID will be hosting its annual Chili at the Beach chili cook-off on Main Street in Downtown HB. Join us for what is sure to be a fun-filled day of celebration, delicious food, and entertainment at the beach!